Members of NBC 7’s Investigative team will discuss the backstory and process behind their investigations. NBC 7 Investigates is launching INSIGHT: a podcast that will dive behind the stories and investigations making headlines in our community. INSIGHT Episode One centers around the team’s exclusive story about a secret border surveillance program that monitored journalists, attorneys, immigration activists, and “instigators” tied to the migrant caravan. Senior Investigative Reporter Mari Payton and Executive Producer Tom Jones give insight into how they broke the story, the government's response, and subsequent fallout. In future episodes, INSIGHT will inform listeners by giving them a behind-the-scenes perspective on NBC 7 Investigations. INSIGHT is produced by Payton, Jones and Matthew Lewis. Lewis also serves as Audio Engineer and Editor. 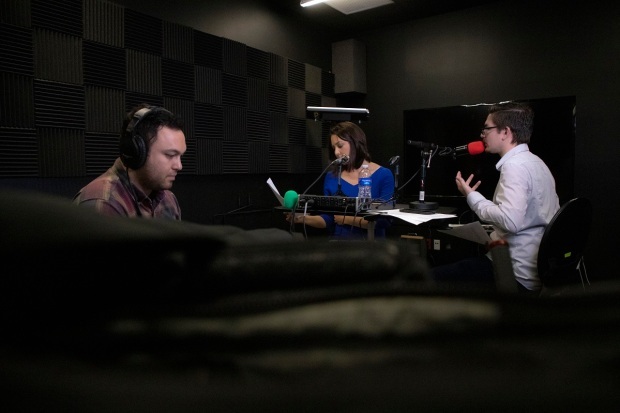 INSIGHT Podcast Producer and Audio Engineer Matthew Lewis (Left), Senior Investigative Reporter Mari Payton (Middle), and Executive Investigative Producer Tom Jones. And if you enjoyed INSIGHT, please rate and review us on your favorite podcasting platform.